Home › Knowledge Hub › Top tips › Why do we ignore digital impact? With almost almost all of the UK online and the rise of smartphone use, the way we interact with charities has slowly shifted. Today, it’s common for charities to reach more people digitally than through traditional channels like face-to-face services, helplines or leaflet distribution. Yet a lot of charities still treat their website and digital statistics very separately to their impact statistics, as if it’s somehow a separate endeavour to the real work of the charity. It’s not uncommon to see no mention of digital impact at all in an impact report or see it pulled out to the side as a number of “hits” to a website. There’s more to digital than just “awareness raising”. It’s time we changed this. Funding for digital is frequently cited as a major barrier to charities doing more – and rightly so – but we can’t moan about not getting enough digital budget if we’re not yet fully evidencing how digital is making as much, or maybe more of, a difference than other services and initiatives. We need to stop drawing a line between “IRL” (in real life) and online life. 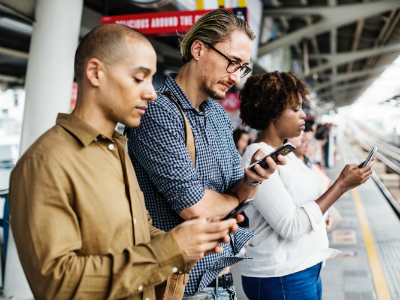 Digital life is real life, especially for people using our services, who will often prefer the speed, accessibility and privacy of being able to search for advice from the comfort of their smartphone at a time that suits them. An online search for help could easily result in advice from a charity run website, online community, or digital service. If we accept digital is part of our lives, then we also accept digital impact is real life impact. According to the numbers, it’s often garnering more reach than offline channels too. That’s why we need to get serious about tracking it, analysing it and reporting it to the outside world. We deserve credit for it. We also need to give it parity with other forms of impact in the stories that we tell about the impact our charity has. You’ll often see emotive case studies published by charities about meeting a person at a support group and helping them with a face-to-face advice service. But what you don’t see in the glossy report is someone really struggling at 3 o’clock in the morning, googling for some information. You don’t see them finding an amazing charity page. You don’t see how it helped them understand what was happening, get advice, and make their life better. Few charities appear to be seeking these stories or investigating further. Why are they seen as inferior? It’s a bit like how online dating used to be a cringe way to meet somebody. Online impact is less good. But why? Let’s break down that perception with a tried and tested weapon: the power of stories. Even if you know you should be giving digital impact parity with non-digital impact, it’s still a challenge to actually make it happen. Here’s five steps to get started. Are your digital interventions reflected in your theory of change? If not, revise it, or create a version of it, that’s inclusive of your digital tactics – or at least makes the wording of your interventions broad enough to include your digital estate. For example, a substance misuse charity’s theory of change might emphasise social outcomes that include improved mental and physical health of recovering addicts, as well as a sustained recovery from drug or alcohol use. Digital interventions could include a peer support network or out of hours online chat to support physical services. For many digital interventions or services, it’s impossible to track the direct outcomes. However, using your theory of change you can identify what inputs are likely to produce the outcomes you’re looking to create. Over time you can make these assertions more robust with specific studies or surveys to discover how valid that link is. However, for now, start lean. To achieve its social outcomes, outputs of the recovery app mentioned above could include changed attitudes to drugs or alcohol, or changes in behaviour in times of stress or anxiety. To measure these outputs (and therefore the success of the digital intervention), the app could prompt users to rate their attitudes or behaviour on a scale. These scores could be compared with other, non-digital interventions to assess the effectiveness of the app as an intervention towards the theory of change and would encourage the app to be scaled to greater numbers of people in recovery. 3. Identify impactful content and actions. Now you know how digital is supporting the change you’re creating, you can identify the specific points at which it happens. Make a list of the sections of your website or app containing content that delivers on this, and a list of key events where impact is created or suggested (such as downloading a guide, interacting with an online triage process, booking an online counselling session, posting to an online community, etc). There may be many thousands of items of content designed to deliver help – rather than marketing, fundraising or background information on your charity – you can just take a note of the section of your website or app that contains impactful content. This could be an “About Cancer”, or “Information and Advice” section, for example. Once you’ve set that up, you can set a goal up in analytics and can count the number of times these events are triggered, or these content items are engaged with. Google Analytics allows you to set up “Goals” in its interface which, for example, can trigger based on an event occurring, specific pages or sections being interacted with, and even the duration of time a page is looked at. This is great for adding some robustness when asserting that a content item is likely to have had some impact. If you have any troubles setting it up, you may need a bit of techie help with it – but it shouldn’t take long. More sophisticated set-ups can even assign monetary values to certain actions – these were designed for ecommerce websites but can easily be misused by charity for other ends. They’re great not only for tracking donations, but also for things like monitoring savings to the NHS. Lastly, to go the extra mile, think about how you can discover stories of how digital is making a difference at your charity. A great place to start, of course, is your digital channels with a request to your newsletter and social media subscriber base to share their experiences. Why? A story provides a human voice to the text on the screen, bringing the data to life for the reader. To take it further, consider implementing “Was this helpful” thumbs up and thumbs down buttons on your online support content and asking if you can follow up with the user for more in-depth research later on. Although we may need to consciously course correct by taking the five steps above, we’ll know we’ve truly reached measurement maturity when we don’t even see the difference. When the outcome – a person helped, a life changed – is all that’s reported, not the delivery mechanic like a website or a helpline. This will become even more key as we progress through the next frontier in charity digital transformation: digital service delivery. We may as well lay the foundations and reap the benefit of a stronger case for digital investment today. Matt was part of the line up for the 2018 CharityComms digital conference and his slides from the event are available here.